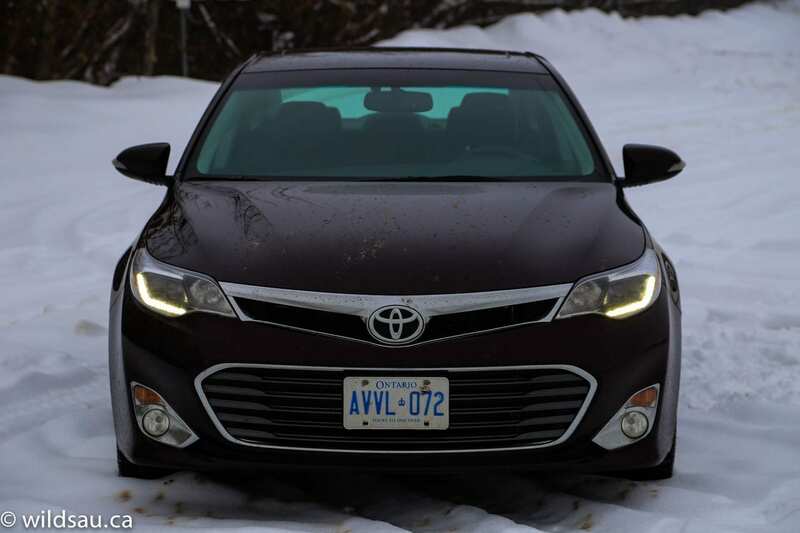 I’m not going to lie and say I was excited to review the Toyota Avalon. Again. After all, isn’t this the car that emulated your father’s (actually, probably your great-grandfather’s) Buick for years, and was marketed to the nearly dead. But Toyota made some changes to the Avalon last year. Huge, sweeping changes. And they’re not shy about it. 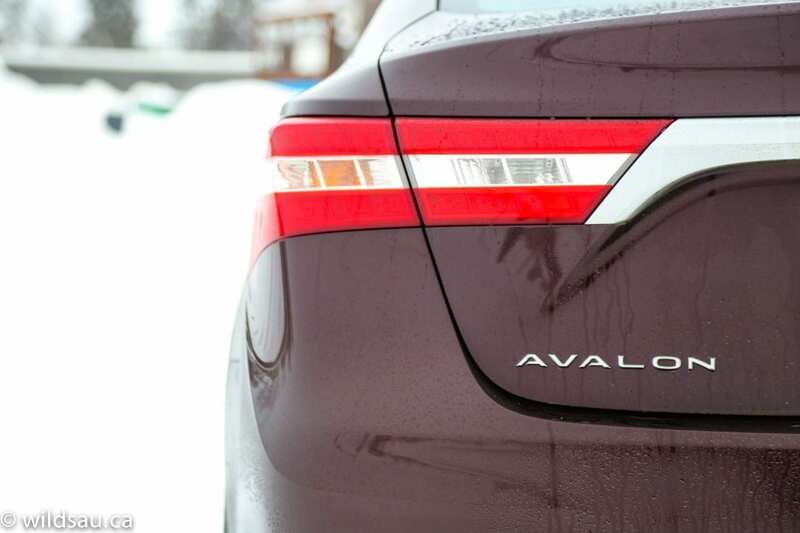 They want you to know the Avalon is an all-new car, with a new attitude and with new capabilities. So… is it really? Let’s find out. Choosing an Avalon is very simple. There are only two models, the “entry-level” XLE (normally a high trim level for Toyota) and the Limited. The changes are very evident long before you get into the car. 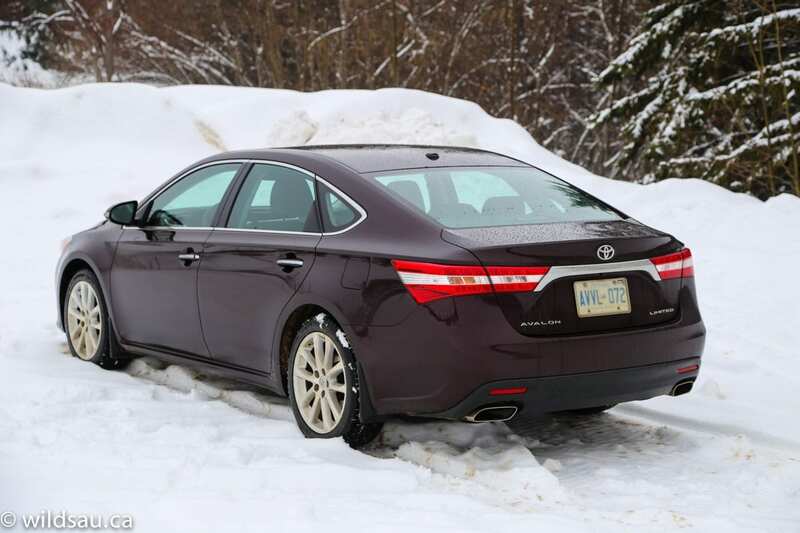 Toyota has done a fantastic job in updating the Avalon on the outside. Smooth lines flow from front to back. You’ll find the occasional curve, although the styling certainly won’t pass for sensuous. And what’s this? Nifty “double-eye” low beams and HID headlights, not to mention signature LED driving lights? A handsome kink toward the rear side window trim? Good looking 18″ wheels shod with low-profile 225/45s filling those fenders? A stylish rear end with eye-catching details and tail lights? Though it’s a mature looking car (my tester’s “sizzling” crimson mica didn’t help), Toyota has added some interest (a pleasant change) and even some aggressive characteristics to spice things up. It looks worlds better than any Avalon before it, and in my opinion, it’s a slick, good looking sedan. 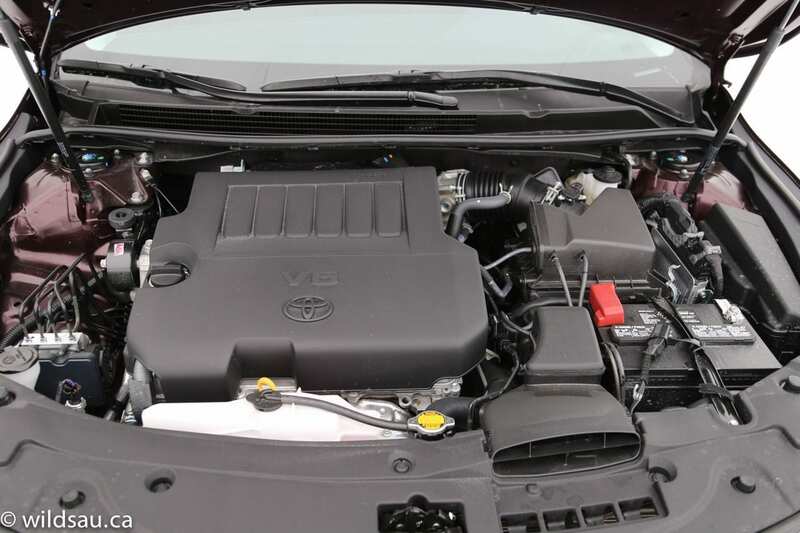 Under the hood, it’s Toyota’s 3.5-litre V-6. Relatively old technology, and appearing in many of their vehicles, it’s a good engine. 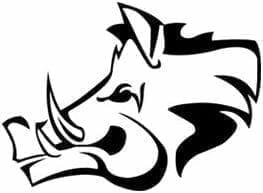 Strong, relatively linear and responsive and reasonably fuel efficient, it puts out 268 horsepower at 6200 RPM and 248 lb.ft of torque at 4700 RPM. All that to drag around a surprisingly light (for its size) 1605 kg (3538 lb) car. The power makes its way to the front wheels through a 6-speed automatic. Mileage is rated at 9.9 L/100 km in the city and 6.4 L/100 km on the highway. I averaged 12.0 L/100 km during my time with it. There was a ton of back-and-forth city driving as it was during a two week Christmas break. The Avalon has a 64 litre tank. Materials in the Avalon are very, very nice. There are soft-touch plastics everywhere, as well as upholstered, stitched materials and a sauve wood trim. Also, the styling surprised me. First of all, it’s a major departure from the past, and frankly, it’s a nice step into the future. Headroom in the front is good for my 5’10″ frame, but someone much taller might start to feel the squeeze. The cabin feels large, open and spacious. 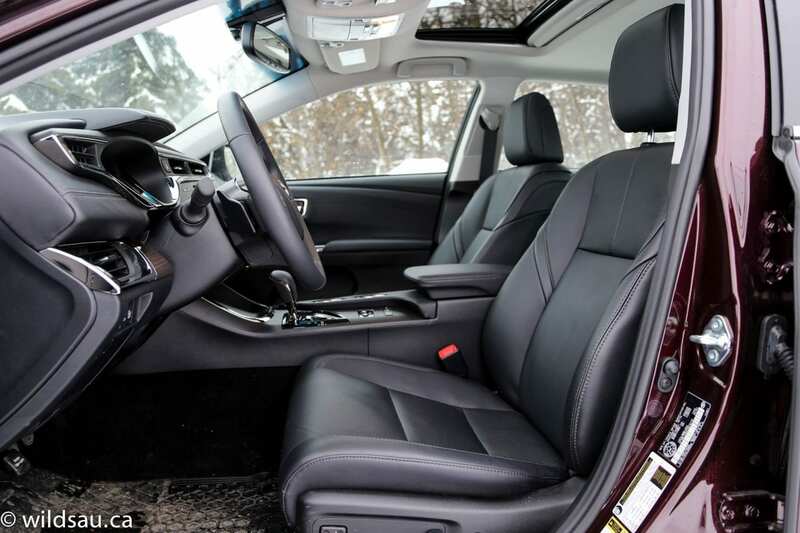 The heated and cooled leather seats are very comfortable, and offer a surprising amount of bolstering for a cushy car. Both front seats are power-adjustable and the driver’s side has a two-position memory setting. 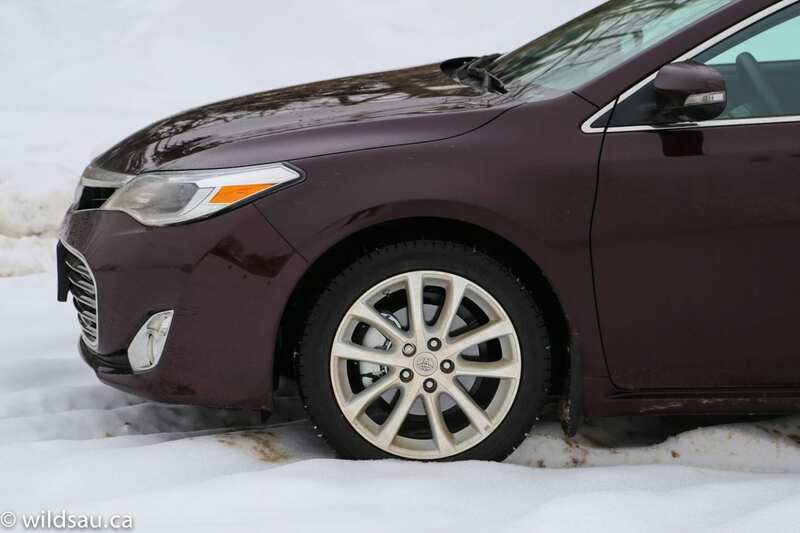 I liked the Avalon’s steering wheel – it’s grippy and comfortable with a surprisingly fat rim. 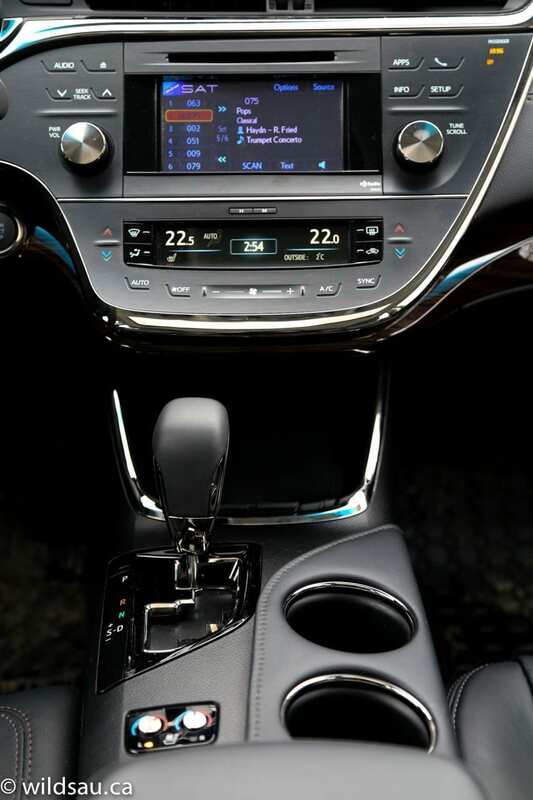 On it, you’ll find controls for the media system, phone, handsfree and driver information screen functions. Ahead of you sits a pod with two large, clear gauges – between them is a narrow, vertical driver information screen. Though it seems a bit cramped, it’s sharp and easy to read and provides access to fuel economy, trip meters and other goodies. There’s not so much a center stack as what I’d call the chin – it juts out of the dash as it drops down, reminding me of Lord Farquaad from Shrek. This panel holds a responsive 6.1-inch touch-screen that handles the audio system, navigation, phone and smartphone app functions, as well as the back-up camera. The screen is surrounded by flat, soft-touch buttons for major audio system functions. These flat buttons are completely offset by the addition of two humungous knobs – one for volume, one for tuning. You could probably use them even if you had all your fingers amputated. At the bottom of the chin is a dual-zone automatic climate control system which gets its own sharp, well-designed LCD screen. 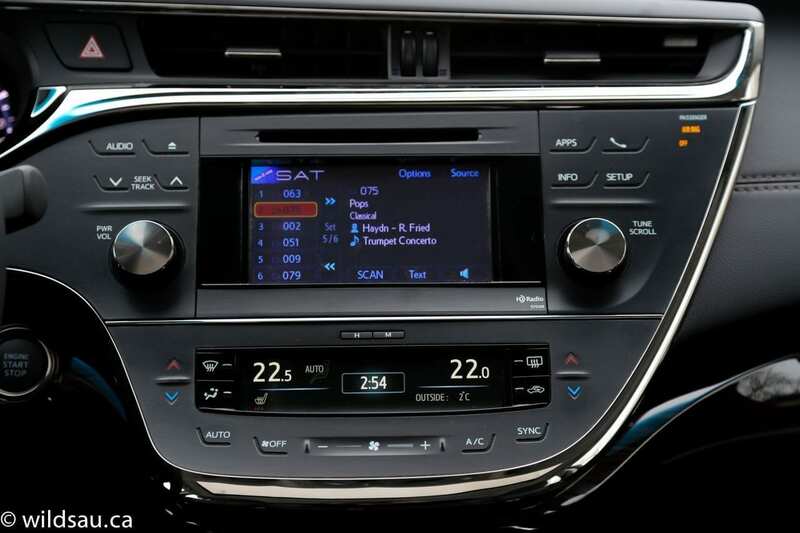 The sound system feeds off AM, FM, satellite, USB, auxiliary, CD and Bluetooth streaming sources. It uses 9 speakers and sounds good. 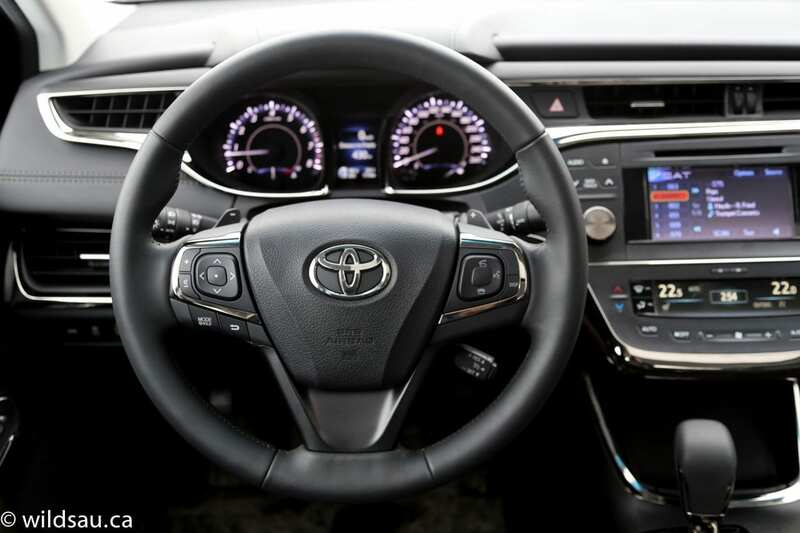 All in all, the dash layout is clean, smart and effective. I liked how it worked and I liked how it looked, and most passengers agreed with me. The console houses the gear selector, two cupholders and the drive mode selectors. Overhead are three HomeLink garage door opener buttons and a tilt/slide sunroof. Entry is keyless (with cool puddle lamps that light up as you approach the vehicle), the ignition is push start, and there’s a blind-spot monitoring system too. I love the space between the bottom of the dash chin and the console. At first it seems it’s just a swoopy, curved tray – which is nice in and of itself. However, when you push it, it silently lifts out of sight to reveal a nice storage area that Toyota calls an eBin – here you’ll find the USB, auxiliary and two 12V plugs. The armrest lid conceals a carpeted bin with another 12V plug. Oh and there’s a change drawer on the left underside of the dash, Richie Rich – it’s lined with soft material to keep your coins from clinking around. 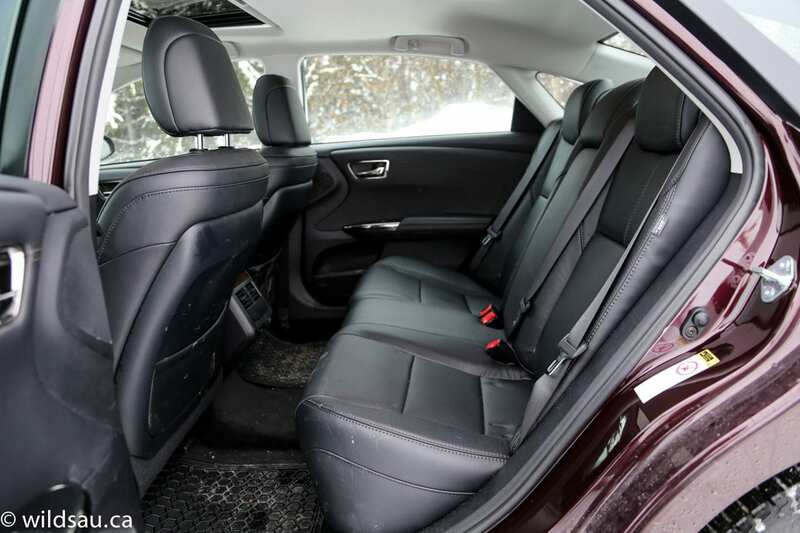 The second row is comprised of three seats – each with a seatbelt and a headrest. The seats are spacious, with significant headroom and legroom. 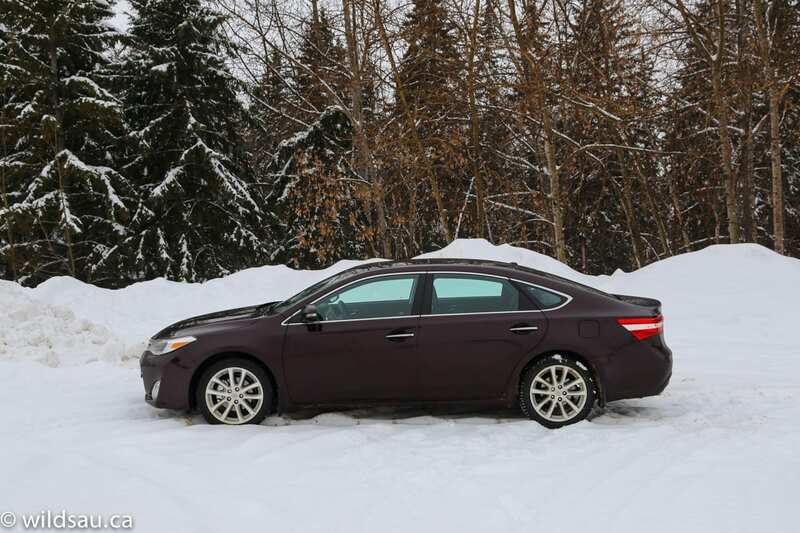 Being a back seat passenger on a road trip wouldn’t be a bad thing in the Avalon. In terms of convenience, it’s surprisingly spartan. No power plugs, no air vents. The rear doors open wide, making access easy – that includes putting kids in. There are two sets of LATCH anchors for kids’ seats. All three of our kids were happy back there, although the middle seating position is a bit cramped. The middle seatback folds down to become an armrest with two cupholders. There’s a power trunk release – you’ll find one on the dash as well as on your key fob. 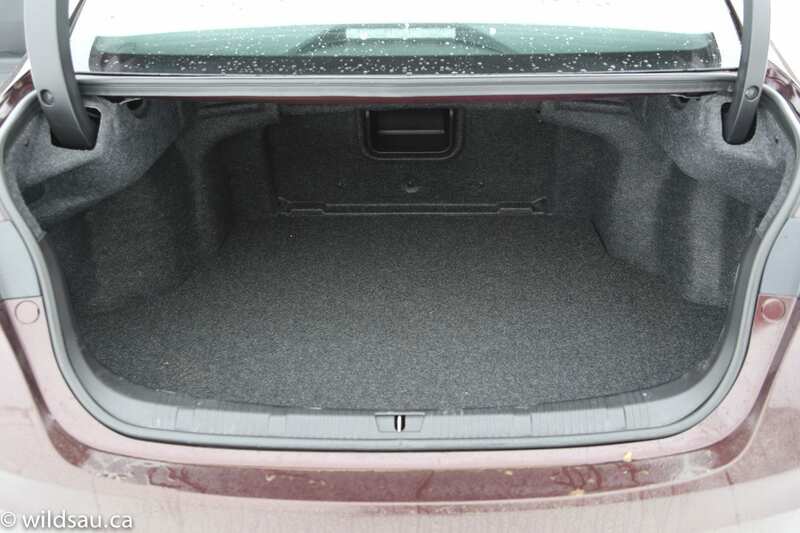 The cargo space isn’t huge at 453 litres (16 cu. ft.) but it’s definitely big enough for a road trip. There’s a small pass-through panel for long, skinny items like skis, etc. The V-6 puts out plenty of power for everyday driving. It will spring off the line, happily squawking the tires in the process. 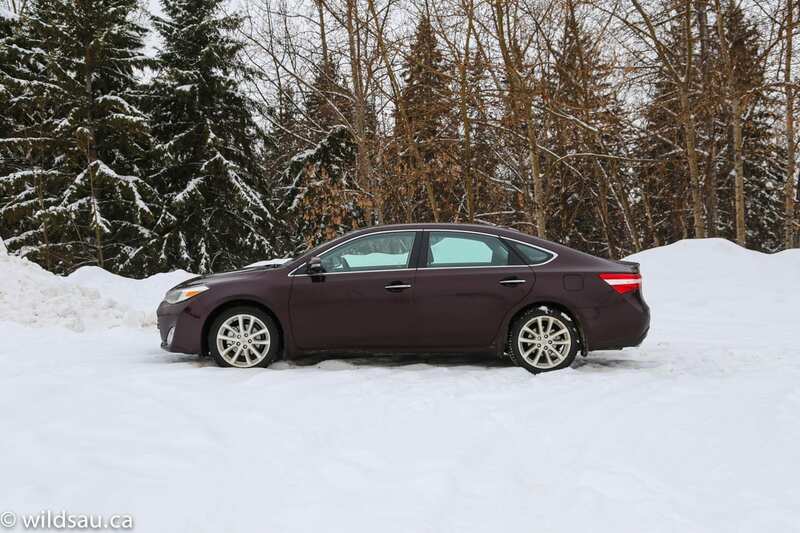 The Avalon never feels underpowered in any situation. 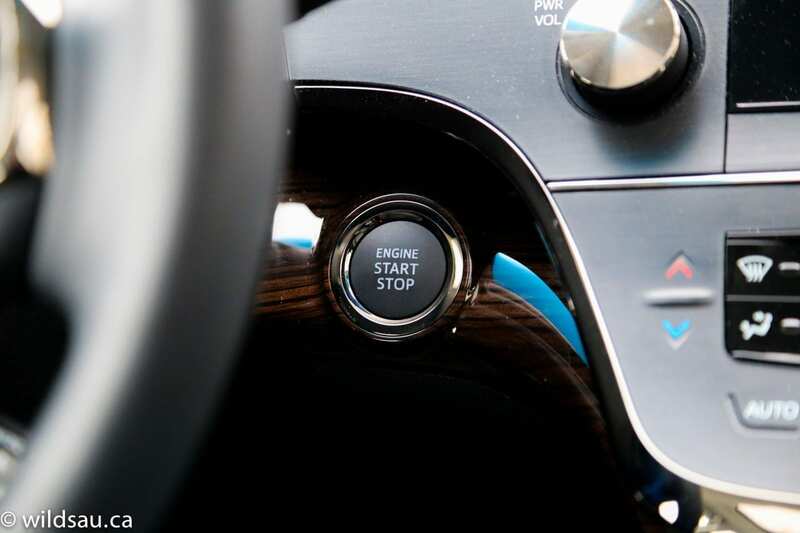 The 6-speed transmission is very smooth, shifting imperceptibly most of the time. Whoa! What’s this?! 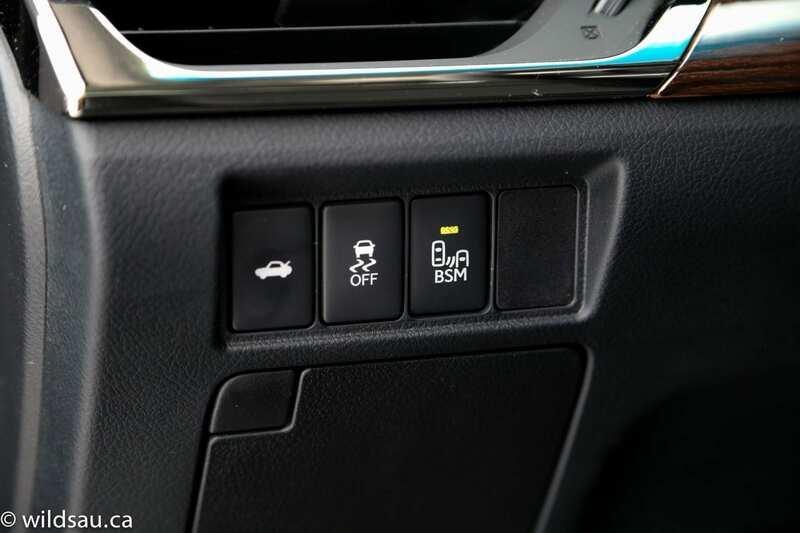 You can snick that gear selector over to the left – into a SPORT MODE?! Yep. Wait, wait – and then you can shift it manually too?! Yep. What the?! What are those things on the back of the steering wheel? Paddle shifters? Get out of town! In an Avalon? Let me be clear – I think those factors are more of a perception thing than a reality thing. The transmission is too smooth and a little too slow and luxurious to be considered sporty – ever. Yes, Sport mode hangs on to the revs longer before shifting, but in the end, it just seems out of character in the Avalon. 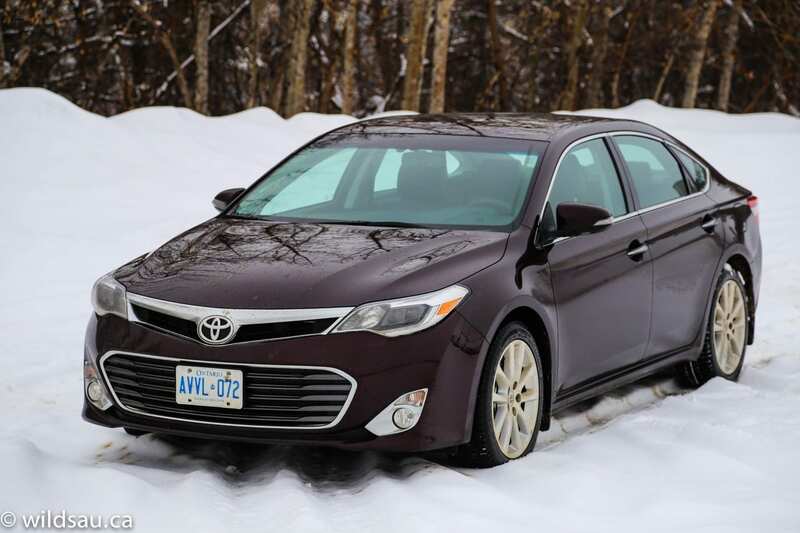 Yes, you can manually shift the car, and the shifts are actually quite quick, but seriously – who’s going to do that in an Avalon? On the highway, it remains a smooth operator, but when you step on it to pass, it takes a second or two to downshift to the right gear, making everything feel a bit sluggish. That’s not a knock on this car – to me, that seems more in line with this car’s character than the Sport mode or the paddle shifters. By the way, you can also choose a drive mode with buttons on the console. 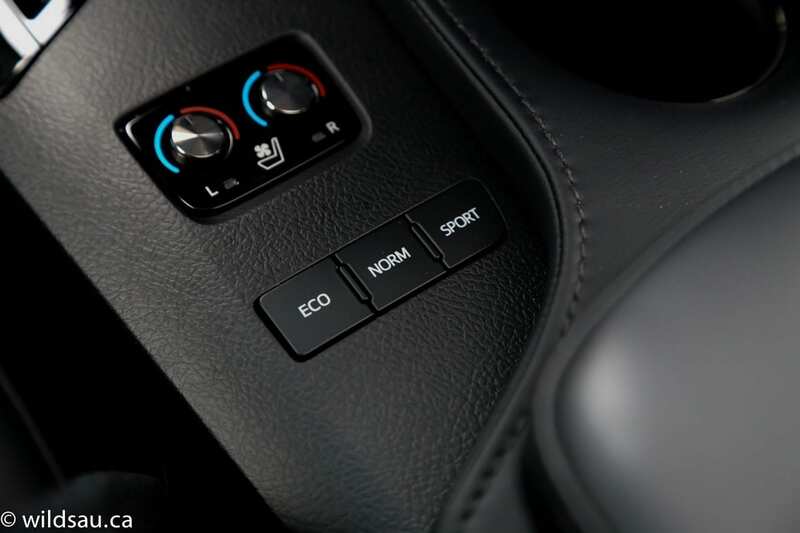 There’s normal drive mode, Sport mode and an ECO mode which makes this car simply hemorrhoidal to drive because everything gets overwhelmingly syrupy. Of course the ride is tremendously comfortable – I would say it approaches Lexus levels of suspension refinement. It really is well done. Handling is a different story. Now, let’s get this out of the way. 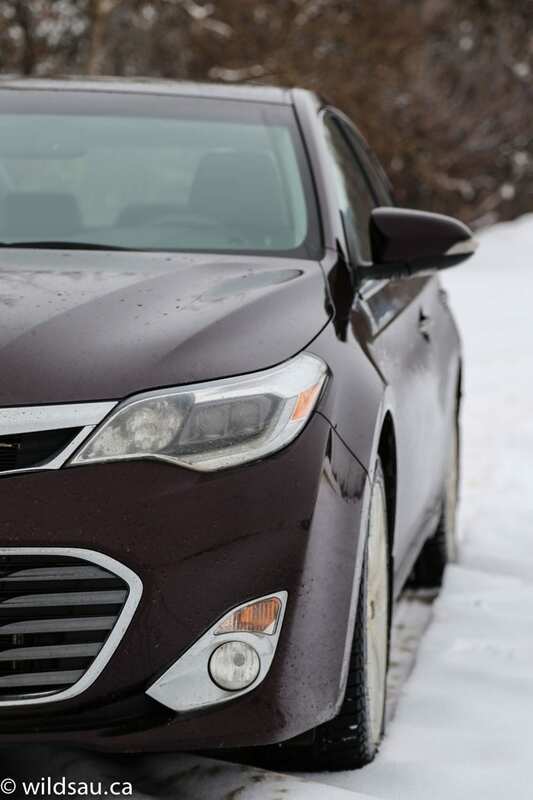 The 2014 Avalon handily runs circles around the previous model, and if you need it to, it will stick to the pavement around curves and corners. But it makes it very clear that it’s not fond of them. There’s a ton of body lean (though less than there used to be). The real crippling factor though is the steering response. Yes, it’s tuned toward luxury, not sport and that’s fine with me. 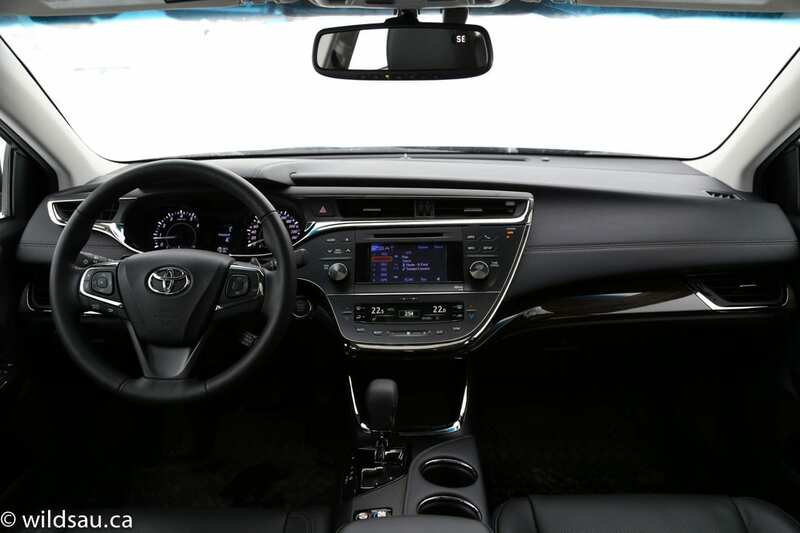 I don’t think anyone shopping the Avalon will be shocked and dismayed by a dead feeling in the steering wheel. But I have to say, this is probably the numbest, most isolated steering sensation I’ve ever driven with and it was too removed from the road for me. At times, it actually felt unsafe because I had no idea if my inputs were registering. Stay in a straight line, and you’ll have a tough time finding a more comfortable car at this price. Which means this is a heck of a highway car. Sound levels are exceptionally low – drivetrain, road and wind noise are absolutely minimal, regardless of the speed it’s traveling. I was very impressed. The brakes are mushy. They’re effective, but with the soft suspension, you’ll find the Avalon’s snout diving quite a bit when you hammer on them. Visibility out of the Avalon is really good in every direction. 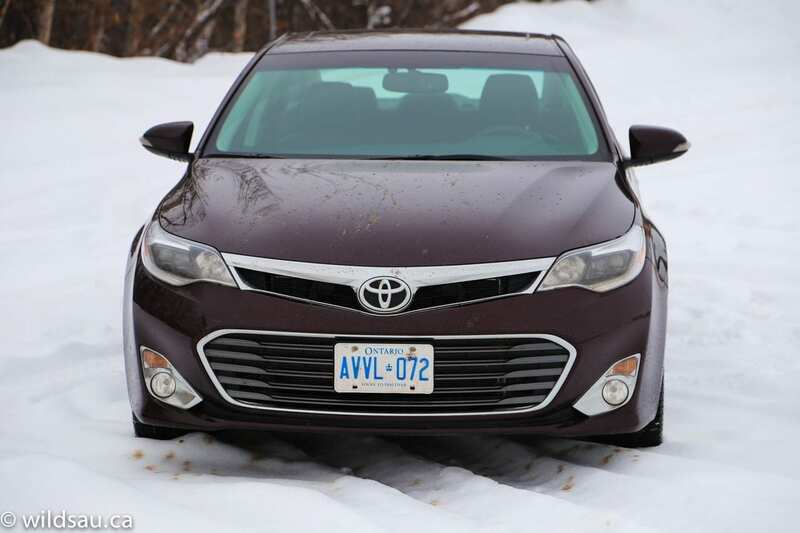 The Avalon no longer feels like a car that is soft just for the sake of being soft. It doesn’t feel like a senior’s car anymore. Although its motions are smooth, and everything is clearly leaning toward comfort, the feeling I got here was one of luxury and refinement. WAF (Wife Acceptance Factor) was middling. She did enjoy the buttery ride and how everything in the interior worked, and she said it looked good. But she told me that it felt like an old lady’s car when she was driving and it looked a bit too mature on the outside. 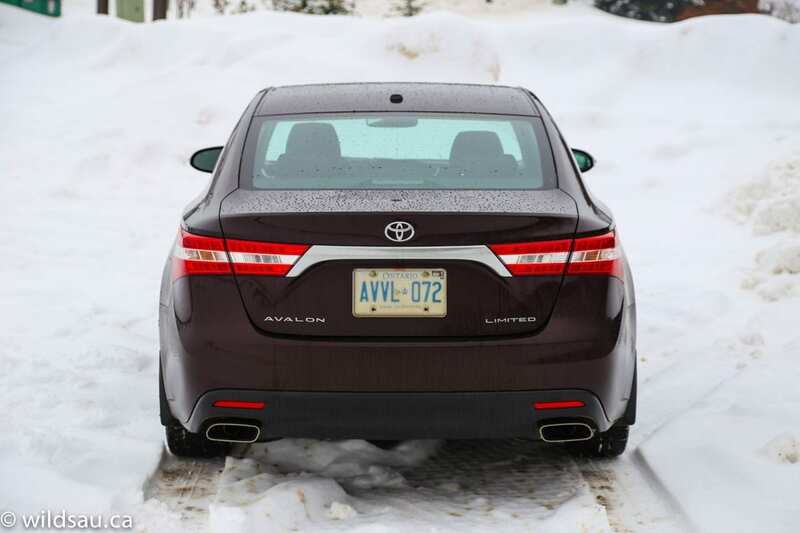 The new generation of Toyota’s Avalon is, without a doubt, an improvement on virtually every facet of the previous model. It is certainly a nice car to look at, offers plenty of space inside, front and back, as well as a ton of comfort, convenience and even driver tech. It has more than enough power, and it carries itself with confidence. Not swagger, because that wouldn’t suit it. I found myself being pleasantly surprised by the Avalon in many ways. The Avalon is not the car for me at this point in my life, but it is certainly a great car. You’ll find a fine automobile that makes a luxurious statement on the road. I wouldn’t hesitate to recommend this car to those looking for entry-level luxury at a very reasonable price.